Are Video Games the Next Big College Sport? New kinds of competitors are joining student athletes at colleges and universities around the country. But not everyone agrees that these video game players are taking part in a sport. Sports are an established part of college life and a source of income for some schools. The football stadium at the University of Michigan in Ann Arbor, for example, holds over 107,000 people. It is one of the largest sports stadiums in the world! The National Collegiate Athletic Association, or NCAA, organizes and creates rules for most of the major college sports competitions in the United States. Income from television advertisements during the NCAA yearly men’s basketball championships was greater than $1 billion in 2016. Not every college sport involves throwing a ball or swinging a stick, however. More schools around the country are offering new competitions that are growing in popularity. Like most traditional college sports, video game competitions involve two or more teams of students officially representing their schools. Team members wear clothing with their names and school colors. They even have coaches giving them advice on how best to win. However, there is no running or jumping or hitting other players. In fact, these new events are different from any traditional athletic activity. They are called esports, and they take place not in the real world, but in computers or other video game systems. Professional video game competitions have been popular around the world for years. Teams and individuals compete for prize money and awards in strategic military combat games like Starcraft and one-on-one fighting games like Street Fighter. But just as in traditional sports, there is a big difference between professional esports players and those who play for fun, says Michael Brooks. Brooks is the executive director of the National Association of Collegiate eSports, or NACE. NACE is an organization similar to the NCAA. It seeks to support the growth of college-level esports as well as create a system of governing rules for them. Brooks says that three years ago, only about seven colleges and universities in the U.S. had esports programs. Much of the popularity for video game competitions was in Europe and Asia at that time, and still is. That is mainly because the traditional professional sports industry in the U.S. is already so strong. Also, fewer people in the U.S. have high-speed internet connections, Brooks adds. But he says websites like YouTube and Twitch, where people can show videos of themselves competing in video games, have made a big difference. In addition to playing, watching others compete has become much more popular. Now, many more young Americans are looking for a path to professional-level competition, Brooks notes. So in 2016, Maryville University of St. Louis in Missouri and 5 other schools joined together to form NACE. Brooks says this move to treat esports seriously came at just the right time. Currently, 41 U.S. colleges and universities are members of NACE, with esports teams of their own. Brooks argues that the schools do everything they can to treat the esports teams just like their traditional sports teams. The schools provide all the computers and other equipment that is necessary. Also, many schools provide students with some form of financial support in exchange for being on one of its teams. Southwest Baptist University in Missouri, for example, gives its esports team members as much as $10,000 in assistance. Brooks adds that not just anyone can join an esports team, and esports does not include any video game available. NACE only includes video games that enough students play under the same rules for competition. Schools invite the best young players in the country to join their teams just as they do with traditional college sports. These student also must keep a minimum level of academic performance in order to stay on the team. ​However, some experts do not believe colleges or the public should compare video games to soccer or baseball. 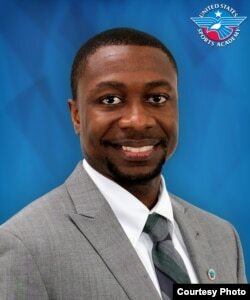 ​Brandon Spradley is the director of sports management at the United States Sports Academy. The school provides higher education in sports-related fields. Spradley also was on the competitive running team at the University of Alabama when he was a student there. Spradley says he is glad that schools are offering to help students pay for their education any way they can. But video games are just not as physically demanding as traditional sports, he says. 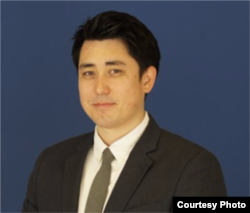 However, Kenneth Lam, the assistant director of the esports program at Maryville University, finds that argument pointless. After all, he says, golf is in no way as physically demanding as football. But people still call golf a sport. Lam also notes that the five members of his school’s team practice one to three nights per week for three hours at a time. That requires a lot of physical and mental energy, he says. And all that effort has paid off since the school started the program in 2015. His team beat eight other North American schools to win the League of Legends College Championships in May. Then, earlier this month they won third place at the League of Legends International College Cup in Wuhan, China. “It’s really exciting to see how much we have [been able to do] for the past two years,” Lam told VOA via Skype. Lam, Spradley and Brooks do all agree on one thing: esports are only going to increase in popularity. The sports media company ESPN began showing esports competitions although its president said in 2014 esports were not actually a sport. In addition, esports may be having a growing effect on schools. The number of new students attending Maryville grew by 45 percent from 2015 to 2016. Lam believes this is because of the success of his team and the attention they have brought to the school. I’m Caty Weaver. And I'm Pete Musto. Pete Musto reported this for VOA Learning English. Mario Ritter was the editor. We want to hear from you. How popular are esports in your country? Do you consider esports to be “real” sports? Why or why not? Write to us in the Comments Section or on our Facebook page.